The trophy game is tough right now. 4000+ is occupied with LOTS of BH7 games that players gemmed. In fact, by the time I hit 4200, that's all I was seeing. Likewise, there were a lot of really tough BH7 games in there - easily half of the games I went up against last night were fully maxed. Today has been a little better as I'm seeing more of what I expect - players who gemmed the timer to get BH7, then bought the BH7 Bonus Pack to get the Giant Cannon and drop the new goodies. This weekend will be particularly interesting - nearly every single BH6 game I came across over 3500 trophies was in the process of upgrading to BH7. There were only a few that weren't; and that includes the games my BH6 games saw as well. When those upgrades finish Saturday or Sunday...things are really going to heat up. I fully expect BH6 to be all but cleared out of the 4000+ cup range within the next two weeks and not even break 4000 in the next season. We saw the same with 3000 and BH5 so this makes sense. Getting those extra loot cap levels were an absolute Godsend - they're going to save the lower BH levels from being pushed further down. On the attack front - I've been seeing a fairly even mix of ground and air attacks. The most popular ground attacks used against me are Bombarian (Bombers X 2, Raged Barbarians X 3), Giant Bombarian (Giants X 1, Bombers X 1, Raged Barbarians X 3), and Giant Carts (Giants X 2, Cannon Carts X 3). They're extremely effective with the additional Army Camp, even against BH7. The bane of my diamond base has been Bombarian/Giant-Bombarian. From the air, Mitch (Beta Minions X 3, Night Witch X 2), Baby Dragons and Minions (either as MBD, MBM, or 2 & 3 / 3 & 2), and Minion Drops (Beta Minions X 3, Drop Ships X 2). Mass Baby Dragons can do ok; spammed Baby Dragons...not so much. Mass Beta Minion is still a viable attack strategy, especially against early BH7 and BH6 bases. Mitch seems to pull high one-stars and BDM (Baby Dragons & Minions) has been real hit or miss. Notably absent - for the main part - has been the Sneaky Archer Tricklers. I've been hit by it a few times, but only one has resulted in a win against me and I put that down to my own deployment issues. The toughest part about attacking on BH7 is getting to the BH itself. 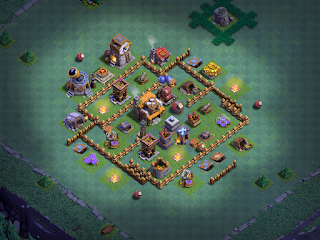 A centralized BH, surrounded by a defensive circle that includes the Giant Cannon, does not go down easily. Some of the best two-star wins I've achieved were with Mass Beta Minion against bases that still had BH6 maxed defenses and the new BH7 defenses not yet upgraded. I'm REALLY on the fence with the Drop Ship. At level 1, it does well against rushed BH6 in Minion Drops attacks but not well at all against BH7. At level 6, things seem to start to turn around and they hold up a bit longer against the BH7 barrage but not against maxed BH7. The key to preventing Minion Drops is to have enough high HP structures for the Drop Ships to chew on while air targetting defenses take them down. Of course, following them closely with Beta Minions helps to get them through those high HP structures but when dealing with BH7 maxed defenses, level 6 just isn't enough. I'm thinking level 10 or maybe level 12 with give them the added oomph they need. Talking about the meta changes.... The changes are actually more subtle than previously expected, from an attacking perspective. Using existing attack strategies and simply adding another camp of supporting troops, tends to work very well. The only exception are the spray and pray spam attacks - they're not doing well against BH7 compared to how well they could do against BH6. Mass Night Witch has been tanking; Mass Baby Dragons without a thoughtful deployment have crashed and burned; Sneaky Archer attacks - even when trickled - aren't getting much better than a low one-star at best. Mass Beta Minion works if you pay attention to where you deploy it, but even that has its limits. To those of you who rush - keep this in mind as you set your key troop upgrades. I've decided to upgrade Nachtherr, KussVonNacht, and Psyberon to BH7. Each is at a different stage of development in BH6, so they'll provide a good cross section of how strategically rushed games play out in the new meta. Additionally, the Phoenix Abyss Hyper-Rush Project will continue plowing ahead - I should have enough gold to upgrade it in just another couple of days. Over the next few days, I'll be working to put out an article and video every day. We'll discuss attack strategies (with examples), base designs, provide a status on my current games, and keep an eye on the meta. Be sure to check back for more! Today's companion video has Mitch, MBM, MBD, Bombarian, and Minion Drops attack examples as well as my new box base. Be sure to click the link below to check it out!